Your face looks much like “Abbey,” by Farmer (ca. 1892), designed by William Jackson, but a bit bolder. Is there is a pin-mark on it? Thank you for this information, Dave. I agree it looks much like “Abbey” as you suggested. 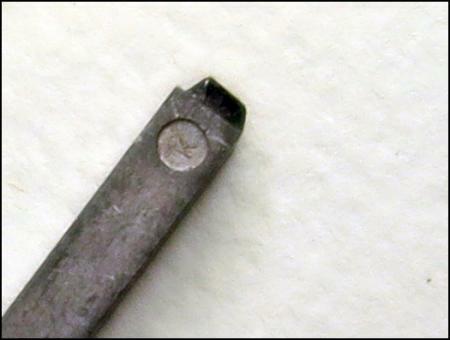 Yes, there is a pin mark and I will attach a couple photos of it. Could this be the Kelsey version of that typeface? You may see the smaller sizes on previous pages. I don’t recall if you listed the size, which you would need to get the correct Kelsey number. Still not sure why your proof is so bold. My type is considerably smaller—appears to be 10-pt. In looking at the the Kelsey pages on your flickr site, I think Number-675 on might correspond to my type. I am sure the “boldness” of the proof is my fault. I scanned it at too small a size and then re-sampled the scan to a larger size and exaggerated the contrast. 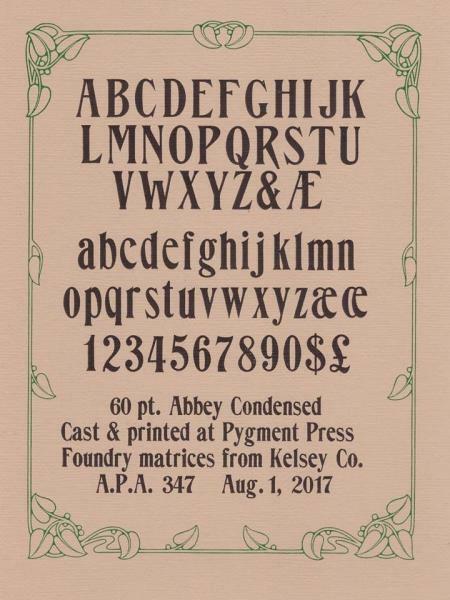 Here is a larger sample of Abbey Condensed, I just finished casting the 60 pt. 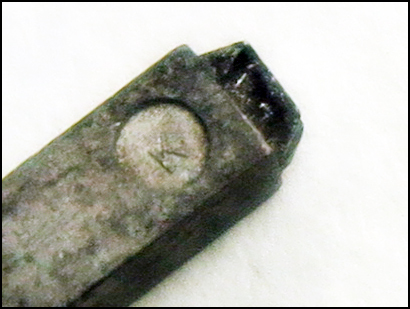 size from original (electroplated) Kelsey matrices. As a historical trivia or typographic graffiti, in the capital ‘O’ of the matrix, the manager of Kelsey’s casting department, a Mr. Saunders, apparently added his initials “C.E.S.” (in reverse reading). The type below the 60 pt. is cast on a 26 pt. body, however these matrices are all pre-point sizes.